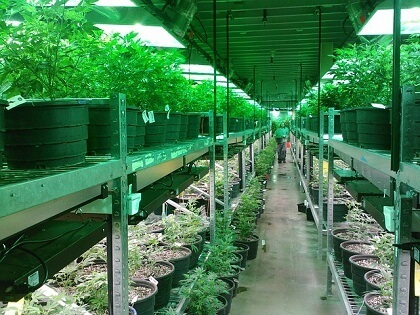 Want To Produce Legal Medical Marijuana? Since 2001, legal production of marijuana in Canada for medical purposes has been permitted, since then marijuana can be produced to help patients deal with their recovery programs after illness and injury. The Canadian authorities have made it clear how medical marijuana can be produced and what types of facilities can be certified and approved as well as all the aspects that are necessary to allow your company to be an officially approved supplier. You need to follow the regulations carefully to make sure that you comply with all the requirements, do your research carefully and follow the recommendations to ensure hassle free production. The Marihuana or marijuana for Medical Purposes Regulations (MMPR) rules in Canada is considered and treated exactly like other narcotics wherever possible. Producers have to be licensed and the license requirements need to be followed rigorously. These requirements also extend to the manufacturing location. The conditions of MMPR rules are that personal or designated marihuana production even for medical purposes is not legal in a private home. Marijuana for medical purposes can only be sourced from commercial licensed producers. These producers are completely responsible for not only production but also the distribution of the finished product. The location of your production facility will be subject to control by Health Canada the regulations that Health Canada are responsible for include licensing, inspections and audits. Security is obviously a key matter to address both in your production facility as well as in your distribution network. Regular checks will be carried out by Health Canada to ensure that your plant is complying with the security regulations. Around your facility strong fencing should be erected to ensure that thieves cannot get near to the production plant itself. The fences should be topped with barbed or razor wire and lighting should be set up to illuminate the interior and exterior ground around the fences. The installation of video surveillance cameras are advised that not only will record any attempted infringement or attempted break in but will also act as an effective deterrent to would be thieves. Production staff should be vetted carefully to ensure that your employees all have a clean record and regular searches should be carried out to make sure no theft is taking place from the inside. You should hire a security company that has the necessary skills and staff to guard your premises during both the day and night 24/7. Marijuana cultivation needs to be conducted in a sanitary environment; one of the latest developments has been the introduction of chlorine dioxide tablets in the growing operations department to improve the quality of the plants when they are ready for harvesting. Early tests have shown that the results generated by the use of chlorine dioxide have been very encouraging as the use of these tablets mean that a clean and sanitized environment can be maintained without the need to revert to the use of fungicides or pesticides. This development means that the new treatments produce superior quality crops that meet the high standards of the Health Canada. Supporters of the use of chlorine dioxide tablet treatments point out that this adoption will greatly improve the quality of the marijuana harvest and that this treatment should be adopted by all manufacturers. •	Do not expose the cannabis to too much heat or too much moisture as this combination can cause the dangerous bacteria to grow and cause potential serious problems. •	Over handling of the marijuana will risk that the trichomes come off and damage the final product, so reduce handling to a minimum. Four very important aspects in your supply chain management to ensure that you produce top quality products that satisfy not only Health Canada but also your clients. Each of these aspects needs careful attention to ensure that you are producing the best marijuana that is needed for the Canadian medical sector. You also need to ensure that you pick your employees as carefully as possible. Every person that you take on should be carefully vetted and their background checked in detail, from research staff to your security personnel. You should have a well-planned pest management system in place and make sure that it is adhered to at all times. Poor attention to pest management could cause your crop to be decimated and rendered completely useless costing you money as well as reducing your ranking with Health Canada as a reliable supplier.